A lifelong resident of the community she loved, Phyllis Wilson made an impact in the lives of so many others. 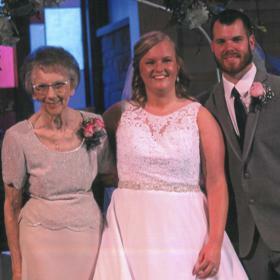 She was guided by an unwavering faith and was a longtime member of the Sunnyside United Methodist Church. Although she did enjoy doing some traveling, she found so much peace and happiness in just being in her own home. Life will be forever changed without Phyllis here, but she leaves behind a priceless collection of memories that her loved ones will forever hold near and dear to their hearts. Life during the 1930s was anything but easy as the entire decade was cloaked in the hardship of the Great Depression after the historic crash of the stock market in October of 1929. The trials of this time were many, and there were few American families who didn't feel the strain. Despite the hardship around them, Frederick and Catherine (Ivory) Fell were filled with great anticipation as they were eagerly awaiting the birth of their new baby as 1929 was drawing to a close. The year 1930 started with a bang as they welcomed the baby girl they named Phyllis Lou into the world on January 1, 1930, in Kalamazoo, Michigan. 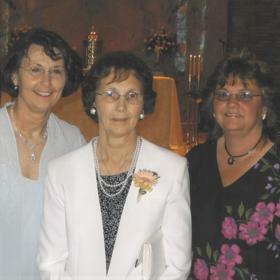 She was the middle of three girls in her family as she was raised in the family home alongside her older sister, Barbara, and her younger sister, Joan. 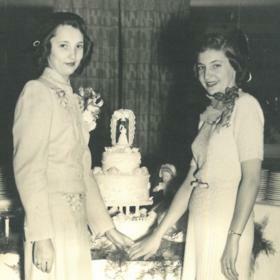 Throughout her entire life, Phyllis was extremely close to Joan. For the most part Phyllis was a young girl of her generation. Her father worked for the railroad and later for the paper mill while her mother was a homemaker. The Fell family certainly felt the effects of the Great Depression as money was very tight. Phyllis learned how to be frugal as a result, and these skills followed her for the rest of her life. 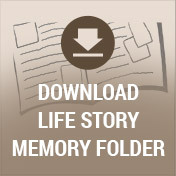 The 1940s found the United States deeply entrenched in WWII, and Phyllis vividly remembered hearing the news about the bombing of Pearl Harbor on December 7, 1941. It was so meaningful for her to visit Pearl Harbor later in life. Phyllis attended local schools and graduated from Kalamazoo Central in January of 1948. Throughout her life Phyllis was known for her attention to detail. She had a strong work ethic and worked as a bookkeeper for much of her life. Phyllis was a bookkeeper for Lockshore Dairy and the White Brother Auto Sales before spending 35 years in the accounting department at Checker Motors. She also put her skills to work at the Sunnyside Methodist Church where she used her bookkeeping skills to help count the church offering and to take care of the books. Phyllis was one to keep busy. She took great pride in her house on Midway Street on the East Side of Kalamazoo. Phyllis spent a lot of her time tending to her gardens and keeping her house meticulously clean. To Phyllis, cleanliness was next to godliness, and Saturday mornings were usually spent making sure the house was in order. Everything in the house had a place and when something was used, it needed to be put away in its proper place. Shoes were also taken off at the door in Phyllis’ home. She enjoyed going to craft and art shows as well as doing puzzles. During her later years, Phyllis enjoyed seeing new places with her travel buddy, Gertrude Sparks. Together they visited places such as Hawaii and Alaska. Although she loved her house, it became too much for Phyllis to keep up with so she moved into Park Village Pines retirement community in 2015. This was a very difficult transition for her.  Over the last three years, Phyllis experienced declining health. When she needed more care, she was eventually moved to the Oakview Terrace. With a life that spanned times of war and times of peace, times of plenty and times of want, Phyllis Wilson made a significant impact in the world around her. She worked hard, but she took the time to enjoy life along the way. Phyllis delighted in her family, and her happiest times were spent surrounded by her family and friends. She will never be forgotten. 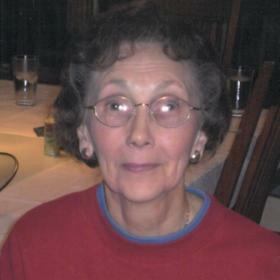 Phyllis Lou Wilson, of Kalamazoo, died peacefully on June 4, 2018, at Park Village Pines. Phyllis’ family includes her children: Jane (Robert) Pangle and Lisa Kay (Bryan) Sears; 5 grandchildren: Hollis (Andrew) Julson, Jeffrey (Kelly) Pangle, Tyler Sears, Torrie (Tim) Ballard, and Tabitha Sears; 4 great grandchildren: Ethan and Connor Julson and Addison and Kenzie Pangle. Special thanks to Shari, Liz, Joanne, and Barb of Hospice Care of Southwest Michigan and the entire staff at Park Village Pines. Plus her dearest friend and travel buddy Gertrude Sparks, and closest neighbor Marylin Monnier. Phyllis was preceded in death by her 2 sisters: Barbara Fishback and Joan Butler. Cremation will take place with private family services. 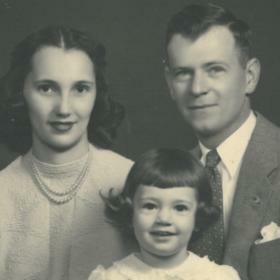 Please visit Phyllis’ personal web page at www.betzlerfuneralhome.com, where you can archive a favorite memory or photo and sign her online guestbook. Memorial contributions may be made to Park Village Pines, Sunnyside United Methodist Church, or Hospice Care of Southwest Michigan. Arrangements by the Betzler Life Story Funeral Home, 6080 Stadium Drive; Kalamazoo (269) 375-2900.